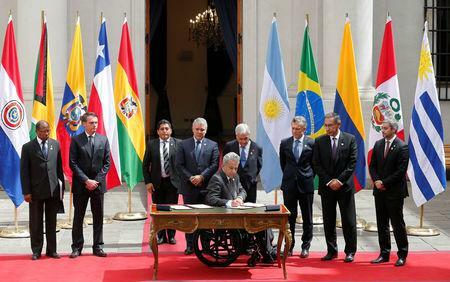 Presidents from Argentina, Brazil, Colombia, Chile, Ecuador, Paraguay, and Peru attended the summit in the Chilean capital of Santiago. 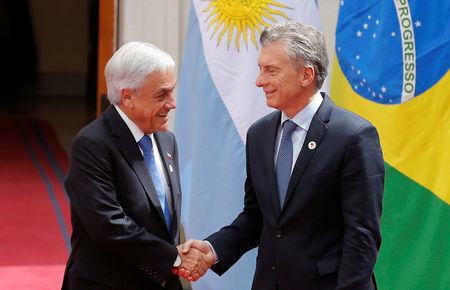 Chile and Colombia had led the push for the new 'Prosur' political grouping after criticism that a previous bloc, Unasur, failed to take action on crisis-stricken Venezuela. 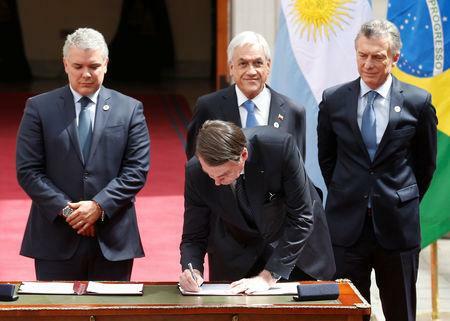 "This will be a forum with a firm and clear commitment to democracy, freedom and a respect for human rights," said Chilean President Sebastian Pinera following the signing ceremony. Unasur was created in 2008 when leftist populism advocated by Maduro's predecessor Hugo Chavez was at its strongest in South America. But in recent years, the bloc has been paralyzed by divisions as center-right governments have risen to power.